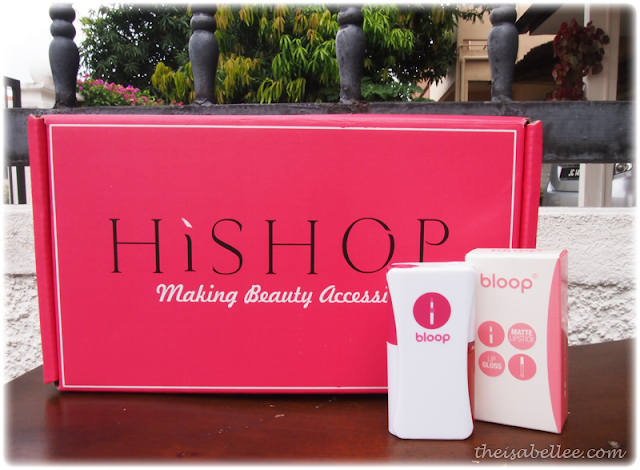 The Bloop Candy Duo Lipstick is special in a few ways. Can you guess how? 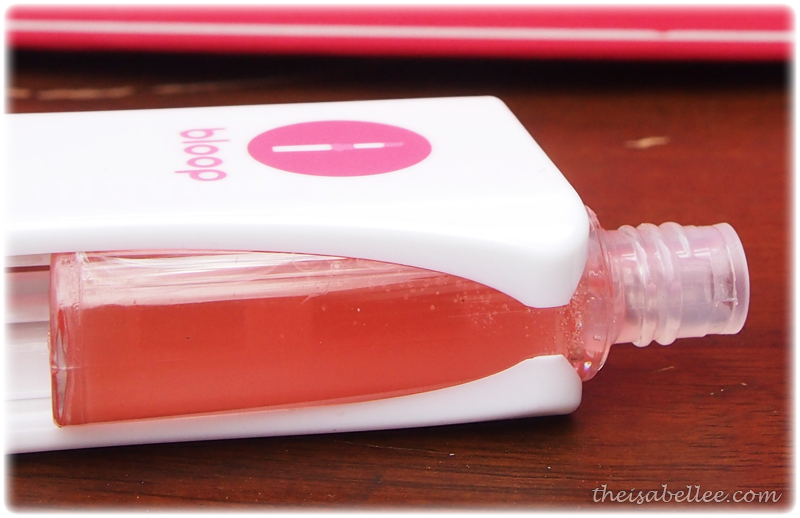 1) It's a lipstick and lip gloss together in 1 container! 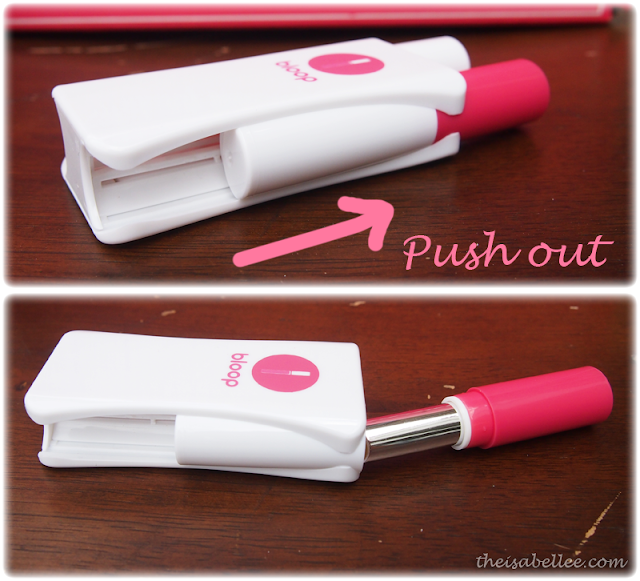 Push out the lipstick and the cap remains inside so you won't lose it. 2) The lipstick is.. clear coloured? No, actually the lipstick is a 'Magic' one as it changes colour from clear to Pink! Layer to get a darker colour. The gloss does appear to be slightly coloured but I would consider it to be clear. 3) The lipstick is also actually a lip stain and is very long lasting. It has a rather matte finish but is not as drying as they usually are. I would definitely top up with the gloss as I have dry lips but it does give you the option to have matte or shiny lips. I think the colour is really striking and is great for a vintage look. There are 2 other variants, Magic Rose and Magic Coral Mist available at HiShop. 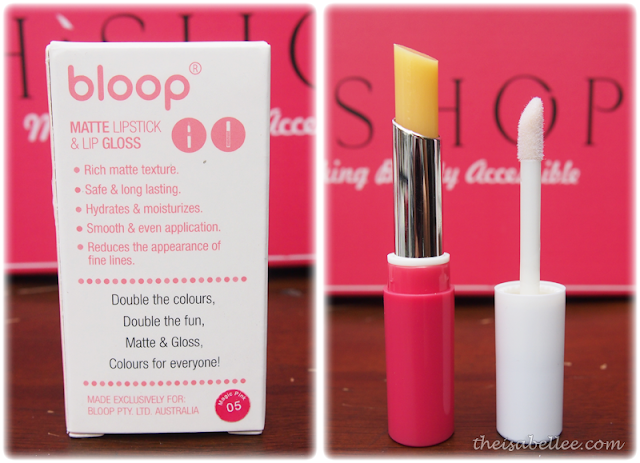 Since I've already reviewed the Bloop Candy Lipstick and Lip Gloss, what is the difference? The Candy Lipstick has more of a creamy texture and is more natural looking although the colour can be layered. Comparing without gloss, I think the Candy Lipstick is better for dry lips. However, the Magic lip stain in the Candy Duo Lipstick is perfect for long days because the colour doesn't fade! The colour is also really striking and attention grabbing. If you're one who applies both lipstick and gloss all the time, why not get this so you don't have to carry two separate products, right? You can also choose between matte and glossy lips.